In any direction from Copper Harbor, you’ll find the perfect scenic auto tours. If you are more adventurous, the rustic roads that lead to more remote areas will reveal a diversity of landscapes. There are numerous pullouts and parks where you can enjoy the view and a pit stop. 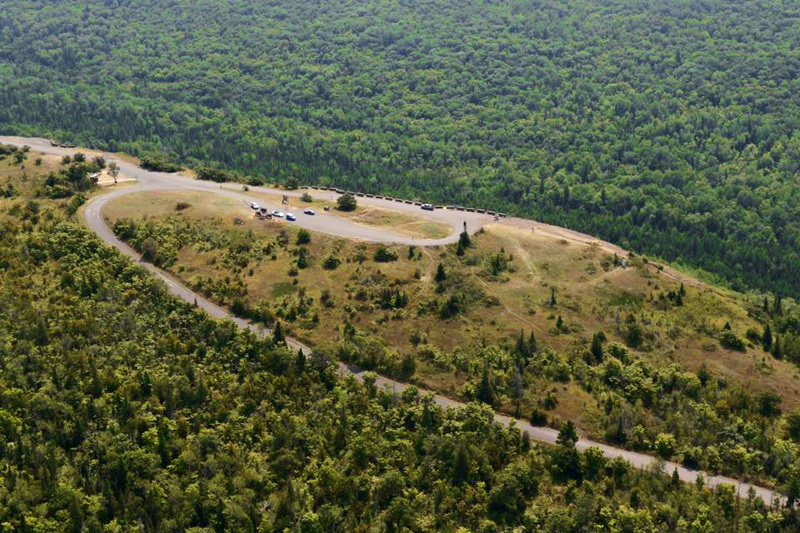 While Copper Harbor and surrounding environs are definitely remote country (don’t expect to see any fast food signs or 7-11’s in this neck of the woods), you will find places to fuel up both travelers and vehicles as you journey through the Keweenaw. 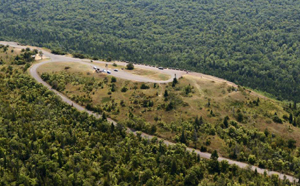 Copper Harbor Circle Tours – There are two routes leading to and from Copper Harbor. The Lake Superior shoreline along Michigan Highway 26 is an absolutely amazing alternate route to the peninsula’s main thoroughfare, US Highway 41. 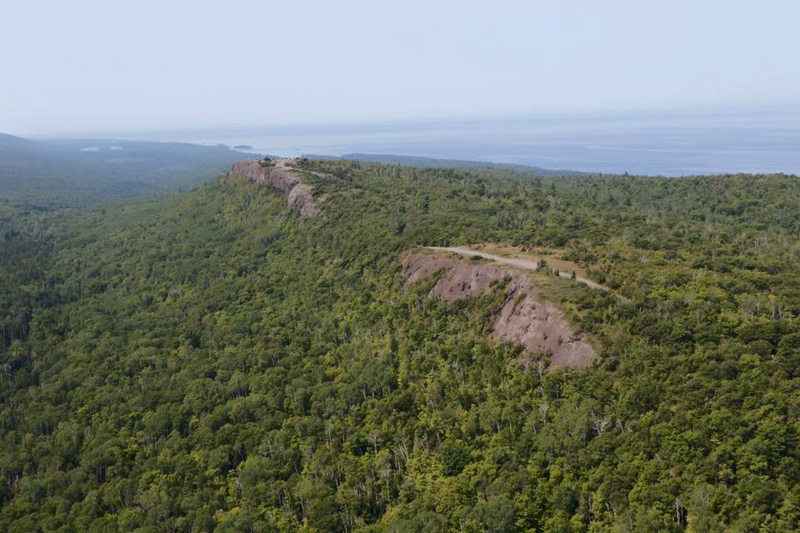 You will want to travel both these roadways as you explore the Keweenaw. 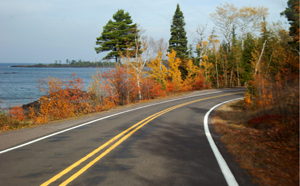 Highway M-26 between Copper Harbor and Eagle River is also known as Lakeshore Drive. Lake Superior reigns as the prime attraction here. The drive is part of the Lake Superior Circle Tour and has been voted some of the best scenery of the tour. 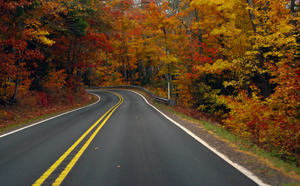 US Highway 41 – A Michigan Scenic Heritage Route – US-41’s northernmost eleven miles offers a drive through a tunnel of trees. Beautiful in any season – breathtaking in the fall. 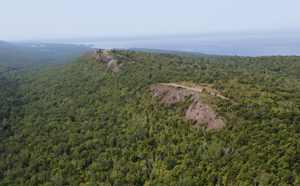 As you travel north on US-41 into Keweenaw County, you will see why this stretch has been designated a National Scenic Byway. It is the northernmost section of US-41, which stretches the length of the nation, from Florida to Copper Harbor. Seasonal & Back Roads – For those of you who like to get off the “Beaten Path”, the area offers miles of dirt roads and seasonal roads. The seasonal roads are generally fine for any vehicle, although there are a few that are pretty rough. It is advisable to ask directions, get a map or both when venturing out into the woods.